Every comprehensive research study confirms it. Introducing children to the wonders of Science, Technology, Engineering, Mathematics (STEM) and the Arts expands their horizons and opens up a world many could hardly imagine. The literature is also immersed with evidence supporting that students of at-risk and underserved communities are more likely to receive limited access and exposure to innovative STEM and Arts opportunities. 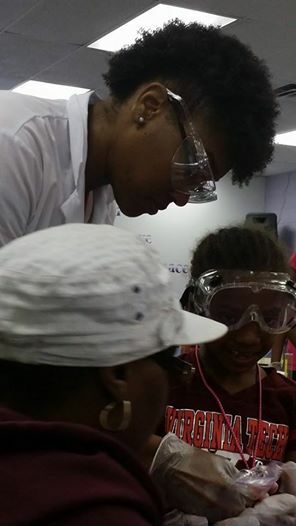 The not for profit business initiatives of TRAK’D is designed to help build family awareness and address the importance of STEM and Arts (STEAM) and life goals, because it is essential and very important to reach students early, to engage them successfully and allow them to consider STEAM career paths. The goal of TRAK’D is to improve the quality of STEAM education within its community and to provide a source from which the parents and youth of every community can benefit. Getting our youth on the right track at an early age is beneficial and we at TRAK’D aim to make sure our youth are moving full STEAM ahead!